Summer is booming and the bees are buzzing, so why can't you too? 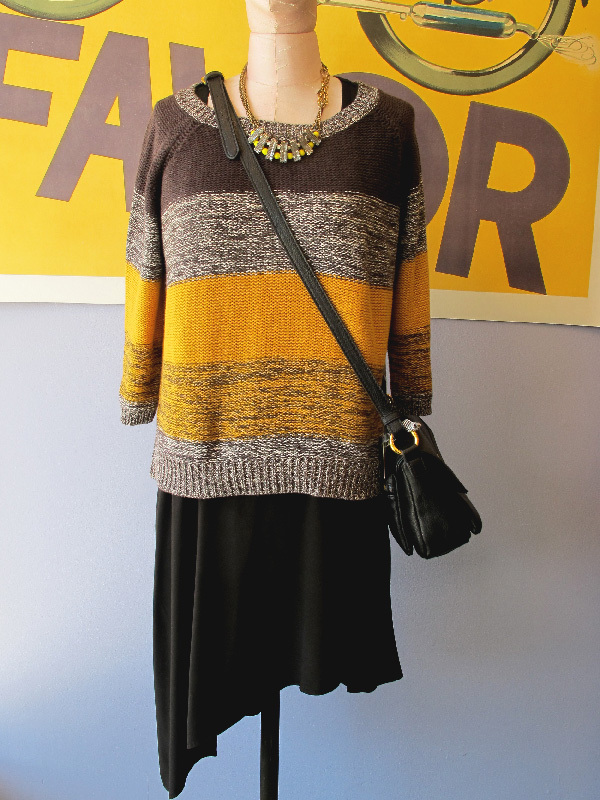 This summer is all about yellow, and we love love love our new Margaret O'Leary striped yellow sweater for this unpredictable San Francisco weather! 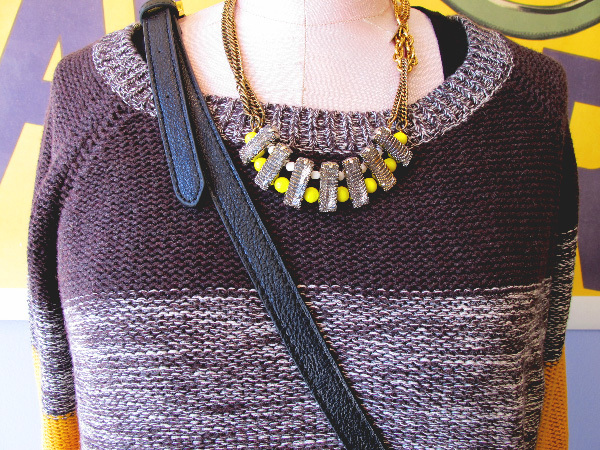 Pair your new sweater with Wilt's amazing asymmetrical black dress and a little shine from this Candance Ang necklace that will no doubt BEEdazzle the crowd!